maxfancydress has no other items for sale. 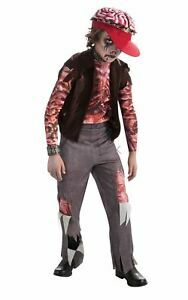 BOYS HALLOWEEN SCARY ZOMBOY ZOMBIE FANCY DRESS CHILD COSTUME OUTFIT. Max Fancy Dress which is part of Bluestone Online Limited, comply with all appropriate UK consumer protection legislation including the Sale of Goods Act, the Distance Selling Regulations and the Trade Descriptions Act. All Manufactures images are used with permission. Original Images & Text © 2019 Bluestone Online Limited. All Rights Reserved Worldwide.